Atlus has released a new trailer for Persona 3: Dancing Moon Night and Persona 5: Dancing Star Night featuring series recurring character President Tanaka. 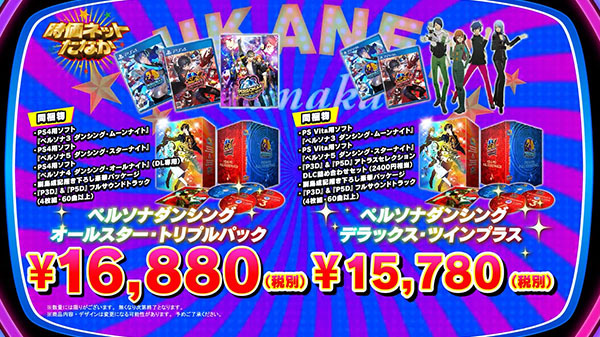 In the trailer, Tanaka introduces the PlayStation 4 “Persona Dancin’ All-Star Triple Pack” and PS Vita “Persona Dancin’ Deluxe Twin Plus” limited editions of the upcoming rhythm games. If you missed it back in December, read up on the contents of each limited edition here.